GET YOUR TICKETS RIGHT NOW! 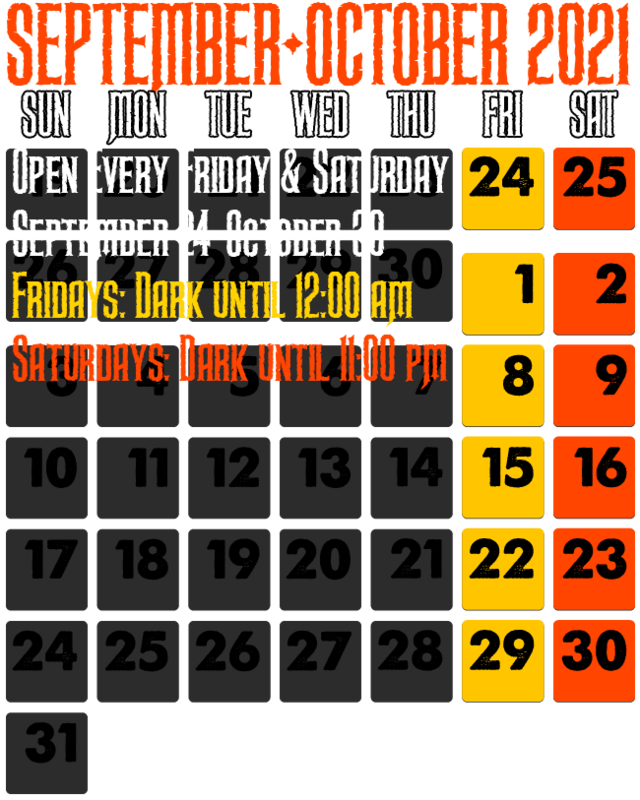 * With VIP reservation tickets you can reserve your time slot into the MCM Haunt starting at 8:00 pm up to 11:00 pm. A limited number of tickets are sold every 15 minutes with no waiting in the admission line. Because VIP tickets are sold for a scheduled time slot we ask that you be prompt in order to guarantee your admission. At this time we are ONLY accepting CASH at the door.